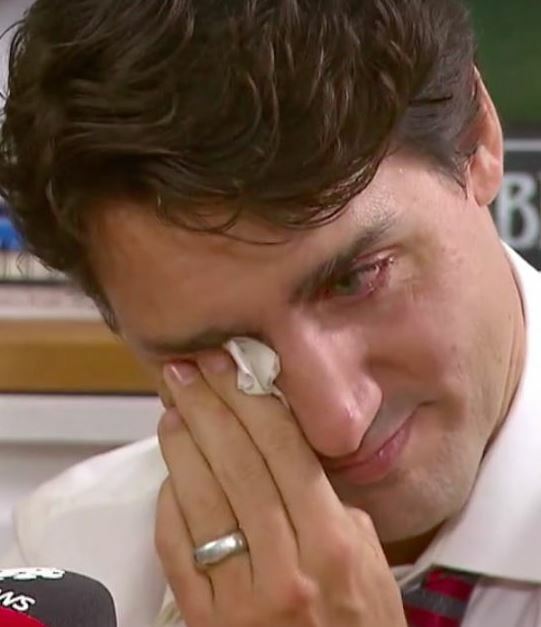 Justin Trudeau crying on cue. There is a vast amount of space between plausibility and truth. If one believes President Trump is a uniquely awful leader whose brief rule has tainted the United States into something undeniably repulsive, then it is certainly a plausible conclusion that Americans must be eager to leave and Canadians must have no interest in coming. Likewise, if one believes that Canada under Prime Minister Justin Trudeau has become a nation of unprecedented opportunity and promise, then it is equally plausible that Canada will be a magnet for American talent — and indeed, the talent of the world.